Now you should be ready to start using Bezlio. At this point we suggest starting with a simple grid demo Bezl to confirm connectivity. Click the ‘Grid (Simple)’ icon and then click the ‘Select’ button to the right. Provide a name for the Bezl, select ‘Bezlio Remote Data Broker’ for the provider, pick your connection, pick your plugin, method, and populate the rest of the fields according to the documentation for the given plugin. Press the ‘Select’ button. At this point the underlying plugin is going to run and, if configured properly, return back a list of the columns available for selection in the grid. Next, you will want to add this Bezl to a panel. Here we will assume here you wish to place it on the ‘Home’ panel. Click on ‘Home’ in the left-hand navigation menu and when the panel is loaded click the arrow to the right of the word ‘Home’ and select ‘Create View’. Provide a name for the view (this will be what shows as the name for this Bezl you are placing on the screen) and press ‘Create View’. You will now be returned back to the ‘Home’ panel but it will now have a new view added. Within this view click the ‘Select Bezl’ button and from the ‘My Bezls’ list pick the one that you just created and then click the ‘Select Bezl’ button to the right. 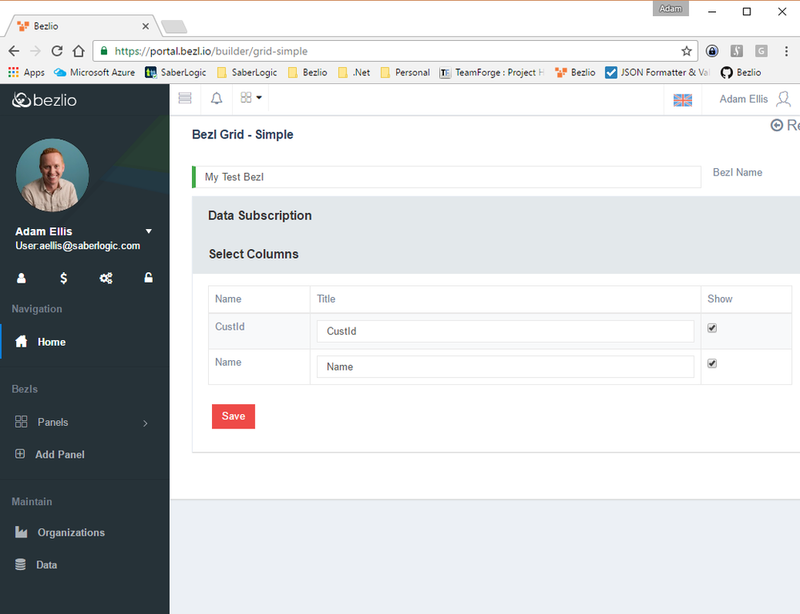 You will now be returned to the ‘Home’ panel and should see that data from your plugin is presented in a grid.